Home » Insurance » Who Needs Long Term Care Insurance? Despite the fact that experts have been sounding the alarm about rising nursing care costs, long term care insurance has not caught on with a majority of consumers. As these same people think about retirement planning, they look into health insurance plans like Medicare. But Medicare only covers short term nursing care. The same is true of related Medicare health plans like supplements and Medicare Advantage. 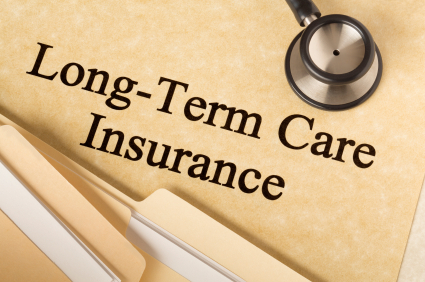 Long term care insurance (LTCi) is a type of health insurance that covers nursing care. Policies may cover a variety of care. This could include nursing homes, adult day care, assisted living homes, or even home health aids. Some policies cover any type of qualified care. Other policies only cover specified types of care. Why Isn't LTCi More Popular With Consumers? That may be part of the reason why LTCi is not more popular. There is not one standard policy. Different plans come with a variety of coverage, daily limits, maximums, and waiting periods. It can be very hard to compare options and prices because of this lack of standardization. Another part of the problem might be that LTCi covers a need that might seem like it will only come far in the future. If you are lucky, and stay healthy and independent, you may never need this coverage at all. Still, there is a good chance that many of us will need long term nursing care. It is not cheap either. How Much Does Nursing Care Cost? Of course, the cost will depend upon the type of nursing care you require. According to a US national survey performed by MetLife Insurance, nursing homes averaged about six thousand dollars a month. Assisted living averaged over three thousand dollars a month. Home health aids are a little cheaper, but still average about twenty thousand dollars a year. If you had to pay thousands of dollars each month, for several months, how long would your savings last? Keep in mind, that it is still impossible to know what kind of care your doctor and your family will decide that you need when you cannot take care of yourself. Are There Alternatives To LTCi? Some people believe they can save enough money to cover their costs. Other people purchase other types of insurance policies that have options (riders) to pay for critical illnesses or nursing care. There may be more than one way to plan for nursing care expenses. It is important to recognize the need, and to make some kind of plan to handle it. At BestQuotesUS.com [http://bestquotesus.com] we provide a lot of free insurance information, including graphics, videos, and articles. You can visit us, at any time, for more information to help you decide if you need long term care insurance [http://bestquotesus.com/bestquotes/health/long-term-care/do-you-need-long-term-care-insurance/]. We also have a graphic that displays nursing care costs. Related : Who Needs Long Term Care Insurance?